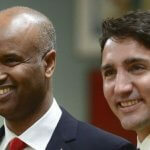 As part of the Temporary Resident Visas, there are visas dedicated to those who hold diplomatic and official positions as well as those who are of importance because of their rank and their country’s relationship with Canada. The visa for those of importance is otherwise known as a Courtesy Visa. This article will go through the Courtesy Visa and the relevant details on it. What is the Courtesy Visa? 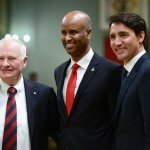 The Government of Canada as with most countries in the world has a visa for diplomats and officials from foreign countries who want to go to Canada on official duties. That is the Diplomatic and Official Visa. However, there are people who do not necessarily qualify in the positions that are allowed to get the Diplomatic and Official Visa but hold an important position in their government and have official duties in Canada. To serve these people, the Canadian Government has created the Courtesy Visa. The Courtesy Visa definition is that it has the same rules as the Diplomatic and Official Visa. Once a person has it, they are allowed to go to Canada for a specific period of time only if they have official duties in the country. They are not allowed to overstay their visa or try to claim Canadian citizenship. They are also not allowed to try and obtain Canadian issued documents or apply for Canadian benefits such as health coverage. If they do not have official duties in Canada, but want to visit the country, they must do so by applying for the Visitor Visa instead of the Courtesy Visa. What are the requirements of the Courtesy Visa? You must submit your bank statements or other financial document to prove you can afford to stay in Canada. If you do not meet these criteria, the Canadian Consulate will require further proof for you to make your case and convince them why they should give you this visa. However, if you cannot prove that you are eligible, then your application will be rejected immediately. The only solution after that is to apply for a different type of Canada Visas. How to apply for the Courtesy Visa? 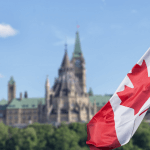 The application process for the Canada Courtesy Visa is different from other Temporary Resident Visa applications, but similar to the Diplomatic and Official Visa. 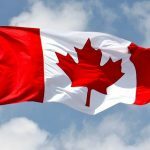 If you fulfill the requirements above and you need to go to Canada as part of your official duties, then you may submit a direct visa application to the Canadian Consulate or Embassy in your home country. Other official invitations from a governmental or international agency or institution in Canada. Your employment or education status through a resume or diplomas, as well as a letter from your employer stating that you have contractual obligations to fulfill and you must return to your home country. With these documents, you must also pay the application fees. When you submit these documents, the official at the Canadian Embassy might ask you a few questions about the purpose of your visit to Canada and your official duties. Since you are not a diplomat or official that qualifies for the Diplomatic and Official Visa, you might also be asked to submit your biometric information or go through a medical examination. If that happens, you must submit the fingerprints and photos of you at your interview appointment, as well as submit the medical form to a licensed doctor and go through the necessary tests. You must then hand in the results to the Canadian Consulate with the documents mentioned above. The Consulate might take a few days or weeks to process the application depending on their workload or they will immediately respond to your visa application. They will either grant you the visa and stamp it on your passport, or they will deny it and let you know about the reasons for the denial. Keep in mind that the Courtesy Visa is given on a case by case basis and it is not a usual visa that the Canadian Consulate approves. That is why you must have a strong case for them to approve your visa. What are the Courtesy Visa fees? The application fee for all Temporary Resident Visas is CAD$100 and you must also pay that fee for the Courtesy Visa. Since you are not a diplomat or an official, then you may also be asked to pay the biometrics fee of CAD$85 if you need to give your biometric information. Finally, in order to have your passport processed, then you will also have to pay the processing fee of around CAD$45. How long is the Courtesy Visa processing time? The processing time for the Courtesy Visa depends on the workload of the Canadian Consulate. However, in general it can take from 1 week up to 2 months for this visa to be processed by the officials and for them to inform you of their decision. How long is the Courtesy Visa valid? The Courtesy Visa is usually given as a multiple-entry visa with a validity of up to 3 years. However, since this is a Temporary Canada Visa, you are not allowed to stay in Canada for more than 6 months at a time. It is usually recommended to stay in the country only for the time that you have official duties and then return to your home country. Afterwards, if you have official duties again, you may return, but again you cannot stay for more than 6 months. Can I bring my dependents with me with a Courtesy Visa? Since the Courtesy Visa is a similar visa to the Diplomatic and Official Visa, then you are allowed to bring your dependents with you to Canada for your trip. Dependents in this case are your spouse or common law partner and children under 22 years old. If you have children who are over 22 years old, then they may accompany you only if they are full-time students. However, if you have children who are over 25 years old, then they cannot accompany you with the Courtesy Visa, but must apply for a Visitor Visa.